Semrush tool is the best and perfect tool to build toxic free projects in your websites. It increases the traffic and connections to the outer world. In order to extract the traffic to your domain, it requires your project to be set up with the semrush tools. For a project to run with high competence it needs the site audit from SEO perspective, excellent Semrush Backlink Checker, keyword rankings, brand monitoring, competitors analytics and social media tool for engaging the publicity to your domains. Here I want to discuss about the 7 best things that semrush tool will perform on your projects to stand number one among your competitors. The semrush tools will keep hold on your websites performance and generate tons of traffic as well as revenue. I am running my domain with good ranking with the help of this tool, so I want you to be next subscriber for this tool and enjoy the features provide by it. Semrush Site Audit Tool will give your the entire site performances and fix the issues if any and boost up the SEO optimization process. 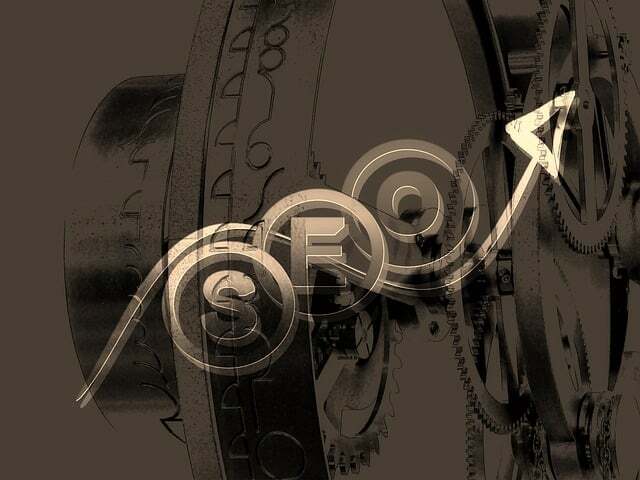 To evaluate the SEO of your website consumes time, but if you use the site audit tool to boost the SEO optimization and reconstruct the issues if any. It is best and accurate tool to audit your site at a higher speed without wasting much time. 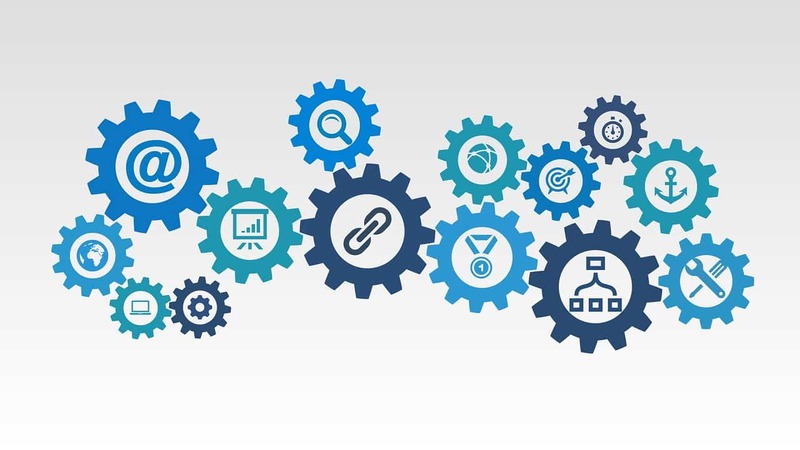 By setting the audit campaign you can fix the errors which block you site from the SEO progress, optimize the links, checks for duplicate content, unique data for the users and search engines, creating the images with alt attribute etc can be done to improve the sites SEO functionality. As the Semrush tool is user friendly, it maintains the SEO analysis reports and fixes the issues based on their priorities. Issues are divided in to 3 sections based on their severity. They are errors, warnings and notices. Based on the issues priority it will check which issue needs to be fixed first. 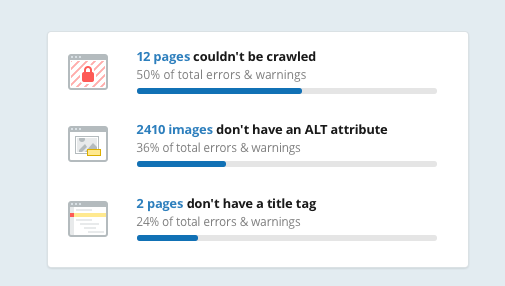 The SEO audit tool will automatically track the website pages and crawl through them. It reports about the website performance and will notify via email. We can also schedule the site for auditing on weekly basis. It will crawl through the pages and generate the reports weekly or the time set by you. Position Tracking Tool is used to track the entire domain and represents the target keywords for ranking and on page site health’s. It will monitor your site performance by using the search engine optimization. Position Tracking tool helps in tracking the domain As well as keywords in order to know the position of your site in SERP. It is used to display the website’s ranking with target keywords among the top 100 organic search results. We can also track your competitors keywords and their rankings. We can add the most competitors on the website and compare your with them in progress. If your website is localized and needs to provide services to other countries , we can use this tool by creating the tracking campaigns for the locations. If you want to track the customers in a specific city, we can use this tool to filter the data related to them. Competitors strategies varies from location to location keep track of them will help you to do better indexing of your keywords to your site. The keyword Grouping feature of the position tracking tool is very beneficial to you because you can have the different keywords grouped under 5 tags. Position tracking tool is the user friendly and supports various devices for easily going of the users. Social Media Tool is for competitive analysis of you as well as your competitors websites and how they ranked globally on social channels. Reaching the marketing goals without any tool is helpless. Because it requires a lot of research on the insights of your website and also consumes a lot of time. 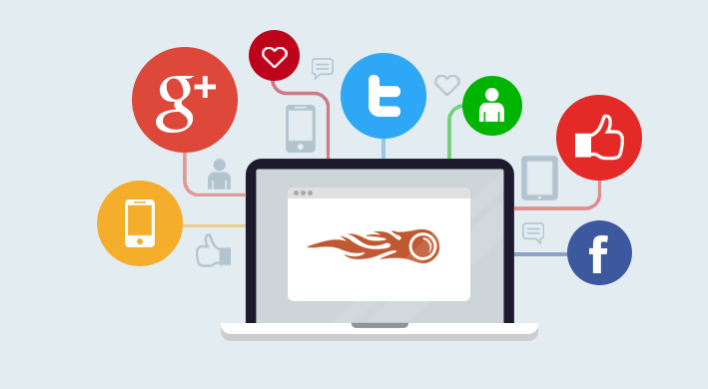 Here Semrush social media tool is the best and give you accurate results of your site audiences, social profiles, user activities and track all the historical data pertaining to the site. Social Media tool enables you to research the targeted competitors for your site. It helps in getting the competitors social media profiles and compare them with yours in real time scenario. It will help to know how the competitors appealing for the audience on the social channels. Social Media Tool will present the clear picture of how you’re represented among various social marketing channels. It will present the data in a clear view with the help of charts, bars and graphs. It also represents how the users are engaged social channels and their interests. Monitoring your brand performance online will help you to connect to the customers. It will keep track of products, brand name and customer reviews as well. Monitoring the online mentions of your site may sometimes goes viral. In order to come up from such conditions Semrush brand monitoring tool is very successful. This tool will help in getting the meaningful and the most relevant information on the web. It will does research for the various customer reviews as well for products and check how they connect to social channels. It helps in finding the new opportunities and the ways to promote the brand. It will reach to the insights of the competitors and see how they are engaged in their work process and the opportunities there in front. By researching, it will adopt the best tactics to perform on their website projects. It also helps in finding some new channels and distribute your content on them without wasting some time. It helps in tracking the backlinks in boosting up the SEO rankings. Proper SEO optimized sites will give the better web reputation. Handling the backlinks in an optimized way leads to the higher growth to the website and also rank better in terms of SEO. 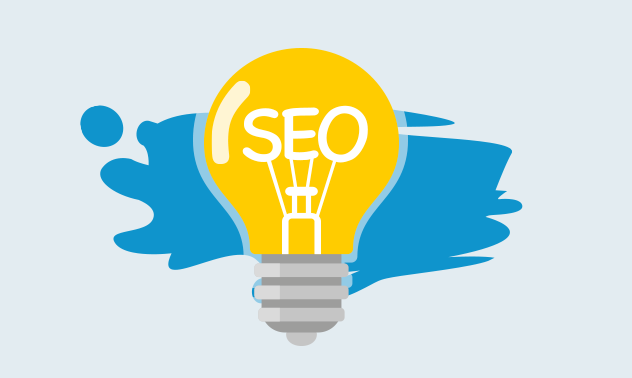 SEO Ideas help to present the best of your web pages. It will help you to build the complete and structured list of things to get better rank for your web pages. It will check each and every piece of content on the web for the SEO optimization. It will give you practical suggestions based on the SEO tactics and the competitors data. It helps in improving the pagerank based on the top 10 google keywords. SEO Ideas will does analysis for the google top 10 performances. It helps to compare the landing pages with the top ranking competitors on the web.Semantically related words and phrases helps to improve and enrich your data. Backlinks helps in gaining tons of traffic to your website. The content’s length is deliberately compared with the top rankers on the google. You can describe the keyword usage on the specified landing page. We can also check the competitors keywords and ranking on the particular field. Semrush Backlink Checker will check all the links on the website for the quality and effectiveness. It also helps to discover your competitors backlinks. From SEO point of view effective backlink checker will check the links will deliver high ranks to your site. It will audit the backlinks in order to maintain the effectiveness and visuality, free from toxics. It will check for the incoming links from the domain,root domain etc. It will view all the urls,titles that link up the web pages. It will compare the inbound links with the competitors links. It helps in pointing new things to the websites. Semrush Backlink Checker checks the domain for authorization. It will find the external links linking to a web page and remove the spamming links from them for effectiveness. It will bring to the notice with some high quality backlinks such as .edu and .gov to appear first in the SERP. It will look after the competitor authoritative links and also see the trusted web sources referred by your domain or not. It will check your backlinks for the nofollow attribute or not. We can maintain any increase to the dofollow links on the website with these backlinks. It supports different types of links such as text, image, frame and form links too. We are able to catch the insight of the competitors do follow links and where they are coming from. We can check for the web resources that are showing interest in your content. It also helps in spotting the backlinks geo location i.e. where they are originating and the domains that are using the links. PPC keyword tool is mainly focused to concentrate on adwords campaigns. Without wasting time we can simply imports the keywords related on phrase and matches into your adwords campaign. Based on the volume and CPC we can filter them. By placing all the keywords under one place and managing them is very easy with the help of campaigns. We can get paid keywords to generate more traffic to your site. By creating the campaigns we can organize the keywords and also import any existing campaigns to your location. If you’re landing pages are not found with the keywords set by you it will affect the quality score parameter. This tool also checks for site audit for any issues and health of the site. We can also run SEO ideas campaign to get seo tips and keywords relevant to your content. Adding keywords manually to your sandbox and then add to your group. PPC does keywords research and build quality list set for the keywords for better indexing in google and other search engine results.We can import the keywords of text ,csv format. We can manage the keywords by using the filters on the campaigns. We can search for a specific keyword about the volume, CPC and traffic for it on the web page. We can also optimize your keywords for better ranking as well as SEO by removing unwanted from the list. I want to say is that all the above mentioned tool are well suited to build your projects free from toxic and spammers. They also help in maintaining better SEO and rank higher in google. They control your site in place of from the injurious and errors. They keep hold of your project status update by engaging with your site as well as your competitors site. They will review your site most and drives more traffic by maintaining high search keywords, backlinks and content.